Beijing’s icons have stood for centuries. The Hall of Prayer for Good Harvests is the center of attention in the Temple of Heaven complex. Built in the 1400s it burned to the ground in the 1880s and was rebuilt soon after. 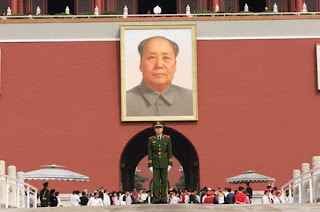 Not touted in local tourist literature like the Temple of Heaven but perhaps most recognizable to people around the world is Tiananmen Gate, with its portrait of Chairman Mao. Located at the north end of the massive Tiananmen Square the Forbidden City lies just beyond it on the other side. The Beijing Summer Olympics has created a new crop of icons. Most notable is the ultra modern National Stadium, fondly referred to as the Bird’s Nest. I wonder if it will endure the centuries as well as its elder counterparts. Is there any specific reason why you don't give full feeds ? I generally read all blogs thru reader & I find it very easy. Hobo-So sorry to hear of the demise of your camera. Cuckoo--I don't give full feeds because there are many in cyberspace who do not respect copyright and I sell my photos, it's not a hobby. Lakshmi-Would love to see the new stadium. It is a unique masterpiece. Glad to know that. 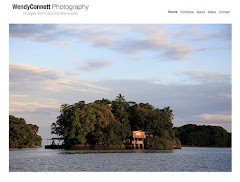 Your photos deserve much more than being copied by some creature in cyberspace. I appreciate you clicking through even though you prefer readers.